Welcome to AJ’s Lazy Chef blog! 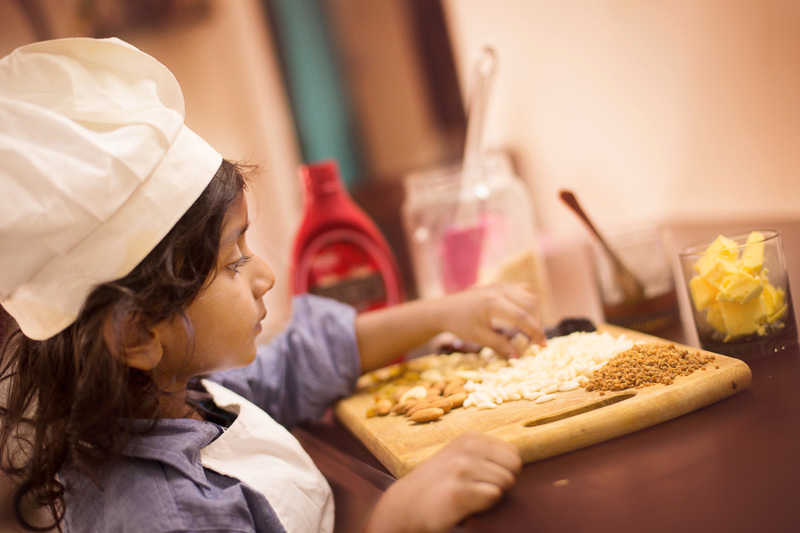 Ours is a foodie family and we love exploring new cuisines, learning finer details of original recipes and coming up with our own simplified renditions, in the same order. 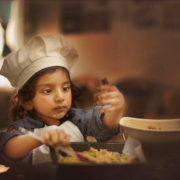 Like any other joy in this world, the art of cooking too is simple and if pursued with love it is very much possible to cook amazingly delicious food from all over the world , in your own very kitchen. 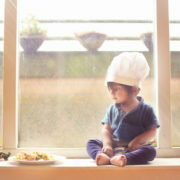 The best part is our little chef who is just two and half years and still shows a lot of interest in cooking , specially baking. 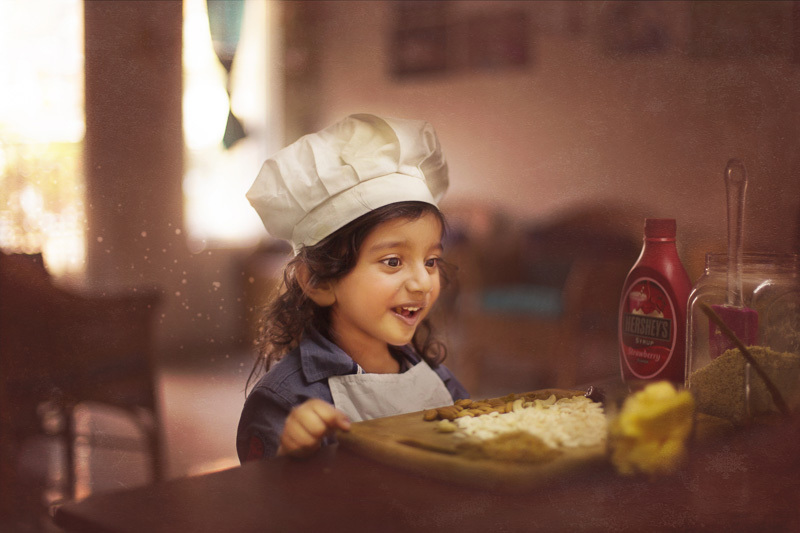 The recipe I am gonna share here is a special one, one of my boy’s favourite. 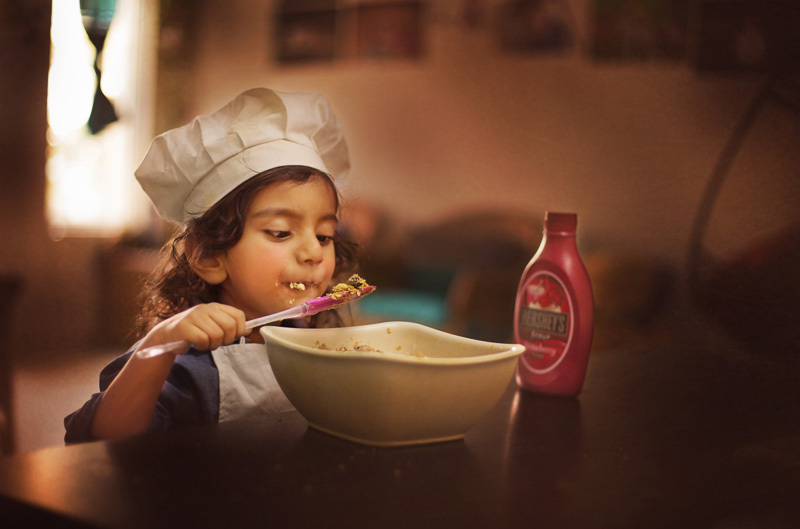 Most of the ingredients he picked to his own liking, and rest I have added keeping nutrition in mind. 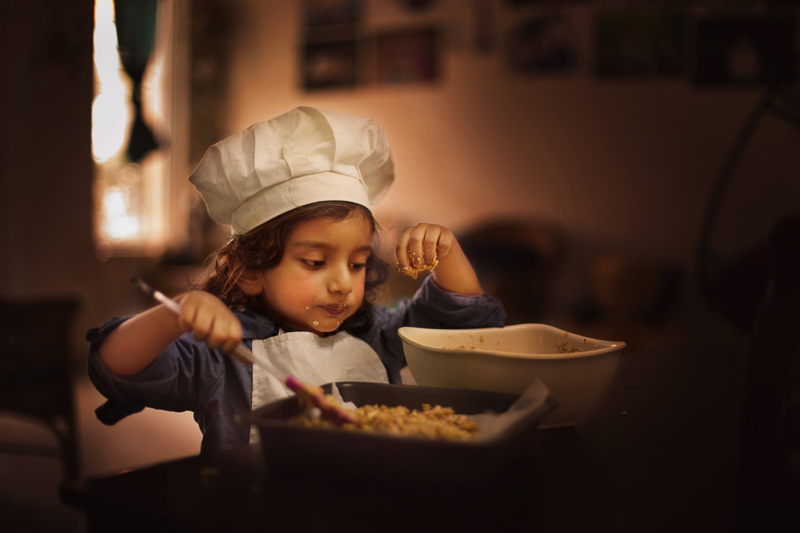 I personally feel when you involve your child in baking or cooking , it kind of becomes fun and games for them and at the end they enjoy eating too. I could not be more proud seeing my little one helping me out with baking and cleaning after , though I haven’t taught him to do any of this. 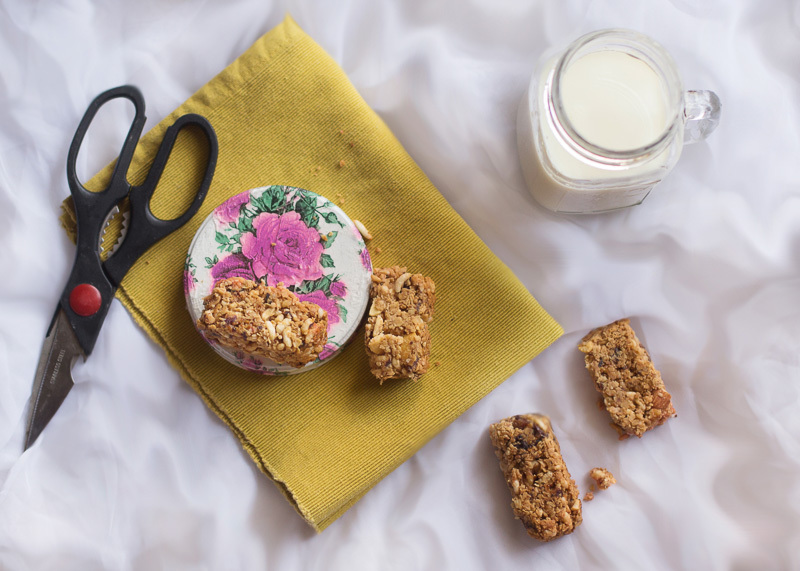 So here is the recipe for fruity and nutty granola bars – healthy breakfast or snack for the family, loaded with energy and nutrients. Simply put, it’s a bar made out of oats, rice crisp, dried fruits, dates and prunes, bonded together with a sweet and sticky mixture of honey, strawberry syrup, butter, and vanilla essence and brown sugar. You can modify your ingredients as per your requirement and availability but two most important things are rolled oats(not instant oats) and rice crisps. Keep coarsely grounded almond, cashew and walnuts ready. It should be coarsely grounded and not in powdered form. prepare a paste of mashed dates and prunes. Bake it for 20 to 25 minutes until granola bars are golden brown in colour. once it’s cold and set, cut into pieces and your healthy bars are ready to serve. Such a yummy recipe and your photography is too good. Taking photos of kid is not at all kidding task. Well done.